We flew into Houston, Texas from Hong Kong in mid-October. The Autumn weather in Houston was still warmer than our Summer in Scandinavia, so, no new winter clothing was required. A family wedding brought us back to the USA for a short detour, before continuing around the world. We visited with many relatives and attended lots of parties, but still managed to get in a bit of schoolwork. 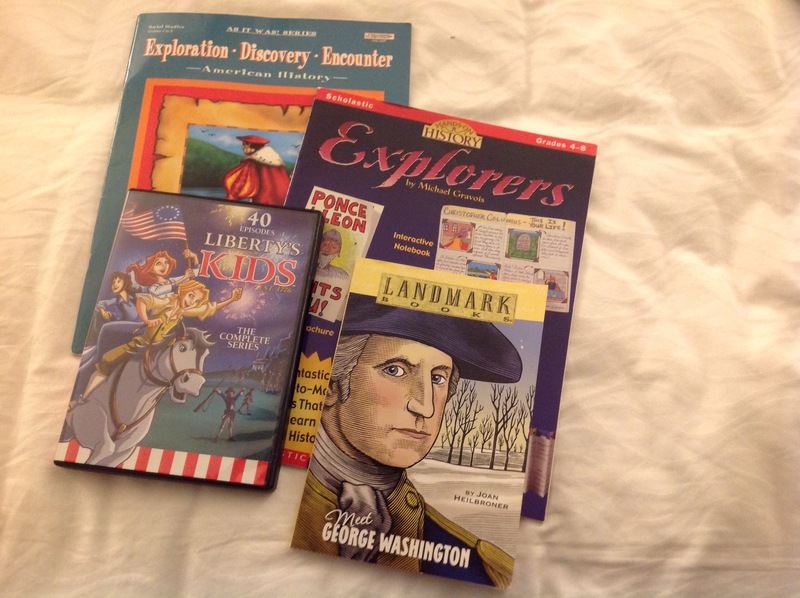 Our studies began with Texas history. 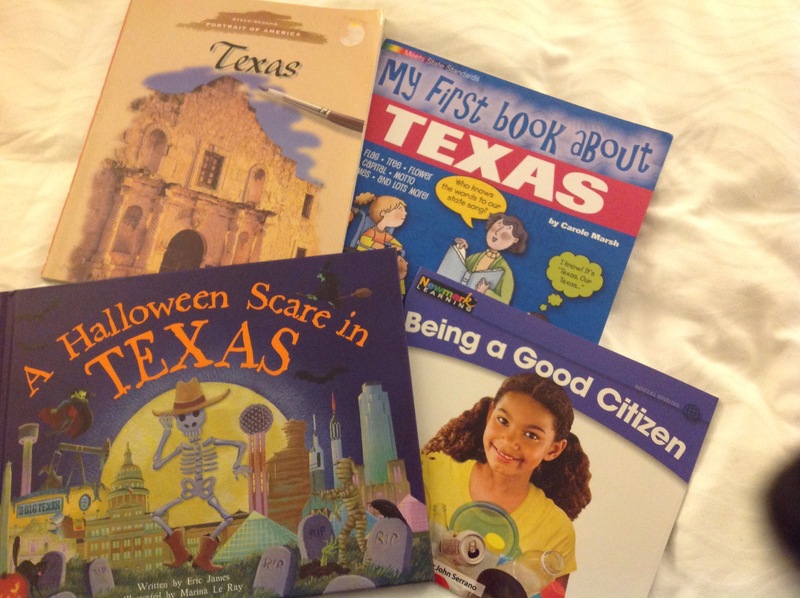 Looking into the TX homeschool rules, we found that Citizenship was a required subject, here. Even though it wasn’t required for us, in Missouri, we decided to include it in our Texas studies this month. We enjoyed visits with some old friends and local families, and checked out the Halloween activities with a church trunk-or-treat (trick or treating in a parking lot, from car to car), and many Halloween books. Wrapping up our time in the USA, we watched a video of Rikki Tikki Tavvi and the Disney video version of the Jungle Book. Our next stop, India.